The SAP Activate: SAP Activate Methodology for SAP Ariba – Project Management Workstream is live and was released Tuesday, November 28th. We are excited to bring this new solution specific implementation roadmap to the SAP Roadmap Viewer for project teams, customers, and partners to use during their SAP deployments. The roadmap’s purpose is to guide teams through the SAP Ariba deployment Project Management Workstream which can be found in the Prepare through the Deploy Phases of the SAP Ariba Roadmap. The SAP Activate Methodology innovative adoption framework is comprised of six phases taking the project team from Discover through Run in a detailed Agile project set up. 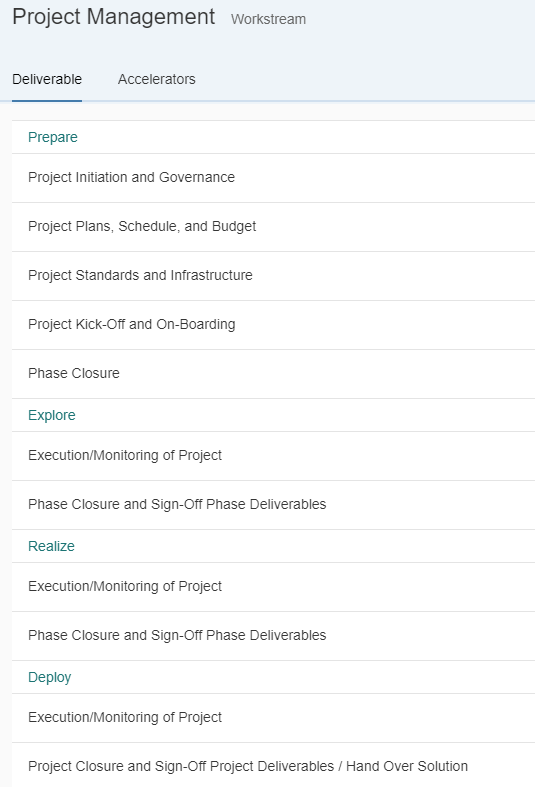 The Project Management Workstream for the SAP Activate Methodology for SAP Ariba is only found in four of the six phases: Prepare, Explore, Realize, and Deploy. The purpose of the Project Management Workstream is to formally recognize that a new project exists and to initiate the work on the project. During this time the project sponsor and project manager work to align stakeholders ­ such as clients, customers, and SAP management ­ around a project and its scope, provide updated information for planning, and obtain a commitment to proceed forward with the project. As part of the initiation activities the project manager conducts a handover from pre-project phase, creates a project charter document, scope statement document and establishes the project governance that ensures proper management process for the project. This ensures alignment between the SAP System Integrator, the customer’s project team, the partner’s team, the company’s strategic direction, and the satisfaction of operational requirements. You can find past blog posts in the SAP Communities space with tag #sapactivate, as well as in the SAP Activate Methodology Jam group (request access here), a community of 21k members already actively engaged in SAP’s Implementation Roadmaps for Cloud, On Premise, and Hybrid environments. If this topic series interests you, check out our e-book SAP S/4HANA Cloud: Implementation with SAP Activate which is available from SAP PRESS. Let us know your thoughts and feedback either in the comments or join our Jam Group.